The continued success of Chicago-Kent would not be possible without a terrific faculty. As you well know from your own experiences, our faculty excel both in the classroom and in making contributions to the legal profession at large. I am privileged to work with so many fine scholars and so many who are at the forefront of law reform. 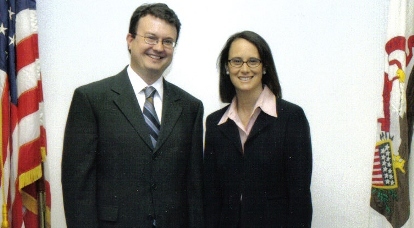 I am pleased to welcome Professor Kimberly Bailey into our fold and, undoubtedly, she will uphold that fine tradition. She will focus her teaching and scholarship on criminal law. Professor Bailey comes to us via the University of Houston Law Center where she was a Visiting Scholar. Previously, she practiced labor and employment law in Houston, Texas, where she was an associate at Fulbright & Jaworski LLP. I am also delighted that Emily Michiko Morris will be with us for the year as a visiting professor teaching Patent Law and Patent Litigation. Most recently, she was a Humphrey Fellow in Law and Economic Policy at the University of Michigan School of Law. Finally, I am thrilled to relay that former President and Dean Lew Collens should be teaching back at the law school this spring! Welcome, all. One of my greatest challenges is to retain our fine faculty. 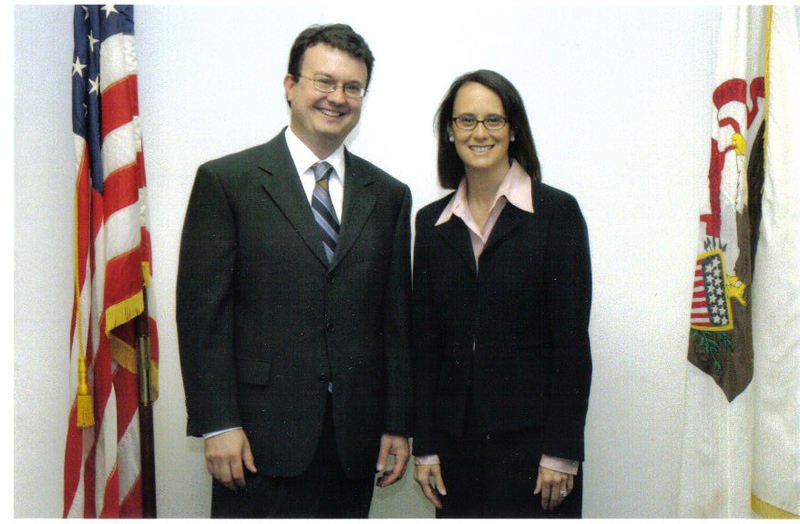 This past July Professor Michael A. Scodro was appointed Solicitor General of Illinois by Illinois Attorney General Lisa Madigan. Congrats, and an honor for us as well. 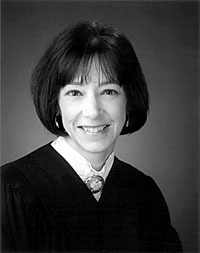 As solicitor general, Professor Scodro will oversee the attorney general’s civil and criminal appellate divisions in litigation before state and federal courts. Although Professor Scodro has maintained his connection to the school and will teach in the spring, the appointment reflects the reality that our faculty are in demand elsewhere, as they should be. If you get the chance, reach out to faculty and tell them how much you appreciate what you learned under their tutelage and how much they mean to the Chicago-Kent community. I look forward to seeing you at one of our events this year. This year, Chicago-Kent welcomes 215 new full-time students, 102 part-time students, and 18 transfer students to the school. The entering class comes from 33 states and more than 130 colleges and universities, holding citizenship in 15 different countries, and collectively speaking over 20 languages! Six students joining us this year graduated with perfect 4.0 grade point averages from their undergraduate programs. Members of the class have been surgeons, reporters, Peace Corps workers, sushi chefs, magicians, professional dancers, and have served in our nation’s military. We are please to have them join the Chicago-Kent community. Louis J. Manetti, II ‘07 was awarded the first Dolores K. Hanna Trademark Prize. The prize was established last year by the law firm of Bell, Boyd & Lloyd, LLC to honor Dolores K. Hanna '52, who served as the firm’s special trademarks counsel. Hanna retired from active practice in June 2006. Awarded at the end of the school year to a Chicago-Kent student based on outstanding performance in an intellectual property course, recipients are selected by intellectual property law Chicago-Kent faculty. Chicago-Kent has a strong public interest tradition and a rich array of activities, courses and resources that encourage students to consider public interest law. Building on that tradition, the Center for Access to Justice & Technology invites alumni working in public interest areas to join the Public Interest Law Alumni Network. This network is designed to facilitate interactions among Public Interest alumni and students, and as part of the network, you will have the opportunity to participate in lectures, volunteering, and networking events. To join the network, please click here and complete the provided form. You may choose whether you would like your information to be visible to other alumni in the network. The Intellectual Property Law Society (IPLS) is looking for practitioners to volunteer as resume advisors for Chicago-Kent IP students. Resume advisors will be matched with one or two students on October 8, 2007 to review resumes in person or over the phone. The time commitment is approximately one hour. If you are interested in becoming a resume advisor or would like more information about the program, please send email to zkhan@kentlaw.edu. Additionally, we invite alumni specializing in Intellectual Property Law (IP) to join the IP Law Alumni Network. The network is designed to facilitate interactions among IP alumni, Chicago-Kent faculty and students, and as part of the network, you will have the opportunity to participate in lectures, social gatherings, and networking events, such as the annual IP Alumni Reception. To join, please click here. 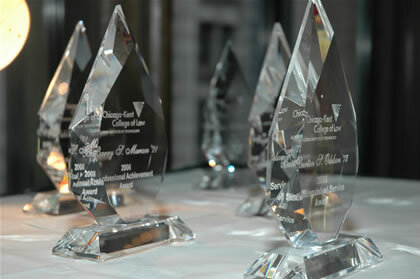 Each year Chicago-Kent alumni honor distinguished alumni and individuals who serve Chicago-Kent and the legal community. Please save December 5, 2007 for our 30th annual Alumni Luncheon. For information on this year's event, visit: www.kentlaw.edu/allalumlunch. Click here to make nominations online no later than September 4, 2007, or call the Office of Alumni Relations at 312-906-5240 to request a paper nomination form. The Alumni Awards Luncheon also serves as a fundraiser for the Alumni Board Scholarship, awarded to continuing students based on need. This is an excellent opportunity for you or your firm to support Chicago-Kent students while endorsing equal access to legal education. To receive sponsorship recognition in the invitation, please respond by September 15, 2007. Please click here for sponsorship levels and details. For more information, please visit the Reunion Portal. If you are interested in volunteering for Reunion please contact the Office of Alumni Relations at (312) 906-5240 or alums@kentlaw.edu. Dean Harold J. Krent will host a cocktails and appetizers get-together for Detroit-Area Alumni at Big Rock Chophouse. Please RSVP by September 3 to Lisa Turley, eturley@kentlaw.edu, or call 312-906-5241. Cost: $125 per person. This program provides 3.0 hours of CLE credit including 1.0 hour of ethics credit. A reception will follow the program. For more information and to register, please visit www.kentlaw.edu/depts/cle. The Roundtable, composed of former law clerks at the Federal Circuit, will address this year’s topic, "MedImmune and SanDisk: Seeking a License Without Getting a Lawsuit." There is no charge or registration required for this event. Attendees are eligible to receive 1.0 hour of IL MCLE credit. For more information, please visit: http://www.kentlaw.edu/depts/cle/. Attendees are eligible to receive 6.0 hrs/IL MCLE credit. For more information, please visit: www.kentlaw.edu/depts/cle. For more information, please contact Julia Ellis at jellis@kentlaw.edu. 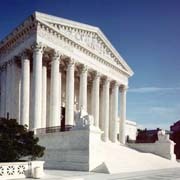 In October, several Chicago-Kent alumni who are members of the Senior Partner Council will be sworn into the bar of the US Supreme Court. In honor of this event, we are holding a reception for alumni in the Virginia, Maryland, and D.C. area at the University Club of Washington, D.C. Please RSVP by October 8, 2007. Click here to purchase your tickets now. Professor Rudovsky, Senior Fellow at the University of Pennsylvania Law School, will speak on the legality of racial profiling. For more information, please contact Professors Sheldon Nahmod or Dan Hamilton. Please join the Board of Trustees and Chairman John W. Rowe for the Inauguration of John Anderson as the Eighth President of Illinois Institute of Technology. More information to follow.